Each unique piece originates from our lush Rainforest of Ecuador. The harvesting of each nut and other natural materials we use help in the perservation of our Rainforest, which is part of our mission here at La Tagua ECUADOR. Learn more about each sustainable nut, seed and berry that we use to make these stunning pieces of art. No two pieces are the same based on the fact that each natural seed comes in many different shape and sizes. 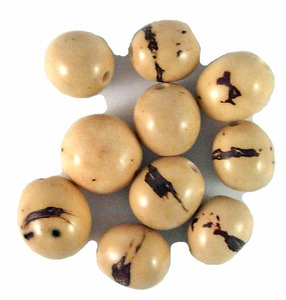 Also know as vegetable ivory, is the seed of a tree similar to a palm botanically know as ciclantaceus. Its scientific name is Phytelephas Aequatorialis Macrocarpa. Tagua grows in the tropical rainforests of some South American countries, mainly Ecuador, Colombia and Venezuela, Ecuador produces 72% of the Tagua Nuts in the world. The fruit is also known as “mococha”, has many locular cavities each containing two or more seeds. The fruit is a tasteless crystalline liquid. When it starts to ripen this turns into a sweet and pleasant milky substance, transforming later to a gelatinous viscous consistency and finally becoming an extraordinarily hard product similar in color, appearance and feel to natural ivory. Tagua will take approximately 15 years to produce its first harvest and will not stop bearing fruit for all of the years and even a century to come. A 35 to 40 year old plant measures about 6 feet and produces, in the 3 yearly harvests, between 15 to 16 heads or “mocochas”. Due to tagua’s properties in color, appearance, hardness and feel similar to those of natural ivory it is being substituted for the latter one. This helps in the depredation of elephants while at the same time keeps rainforests from being deforested which in turn favors the ecosystems and the environment. 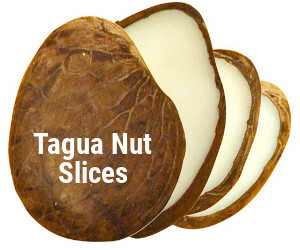 Acai seeds come from the Acai Palm (Euterpe oleracea), indigenous to the rainforests of South America. The acai palm tree if often cut down for its wood and cleared to make pastures for cattle farming. By promoting the sales of acai seed jewelry, we can encourage the cultivation of the acai berry rather than the harvesting of the tree. The bombona seed comes from a palm tree (Iriartea deltoidea) indigenous to Central and South America. 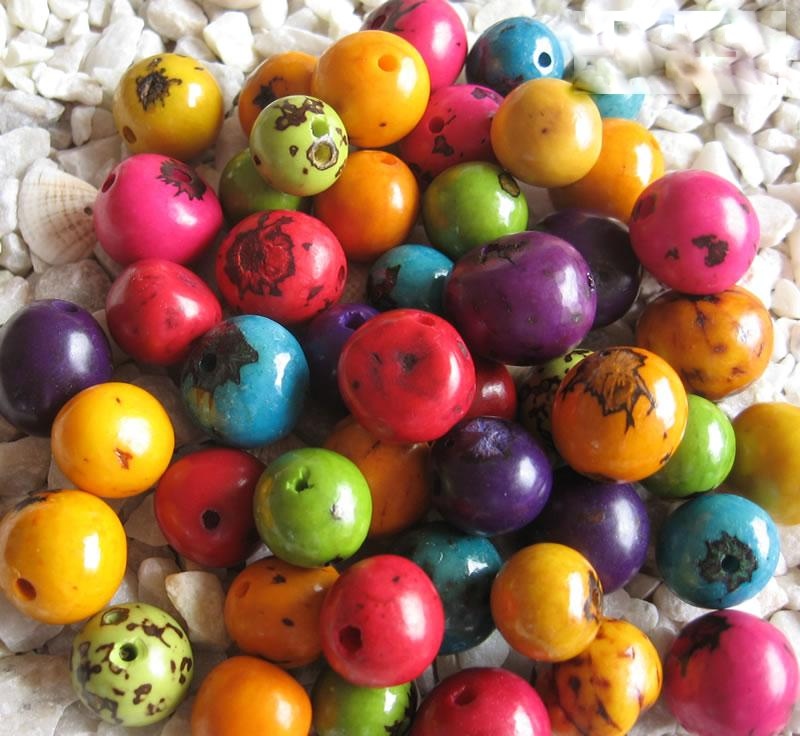 Our seed jewelry is dyed using low-impact dyes that seal 1 Kilo de Bombona Semi Pulida to the seed by “roasting” them in the sun.